For a variety of reasons, there may come a time when you need extra storage, perhaps for a new business contract that involves holding extra stock, perhaps for a home project, i.e. major renovations, that mean clearing part of your house. Whatever the reason, Trading Spaces has a great stock of storage containers to suit all our clients’ needs, from large commercial entities to individual home owners needing a bit of extra storage space. 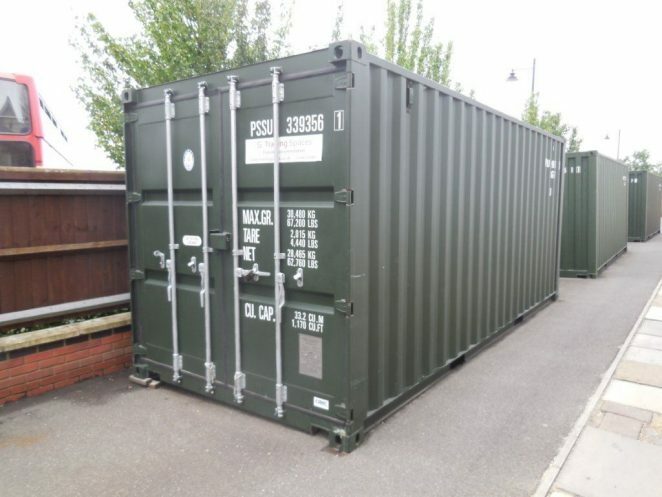 We mainly hire out our storage containers but we also offer new storage containers for sale and occasionally we have second-hand storage containers for sale too, subject to availability. We can provide multiple containers if required or one-offs and we deliver and place the container in your chosen location. We stock the following sized storage containers. For further information on our range of storage containers, prices and delivery info for hiring or buying a storage container, contact us on 01206 212505.